Universal pattern. Polydura cover. Top spiral, 100 pages, 50 sheets. 0.2 lb. 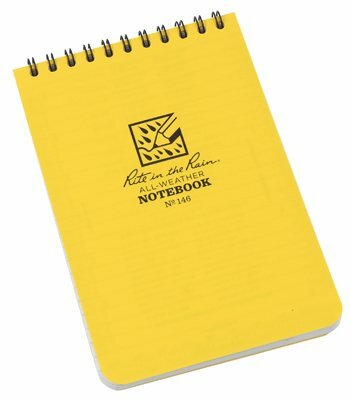 Go-anywhere, anytime, in any weather notebooks.